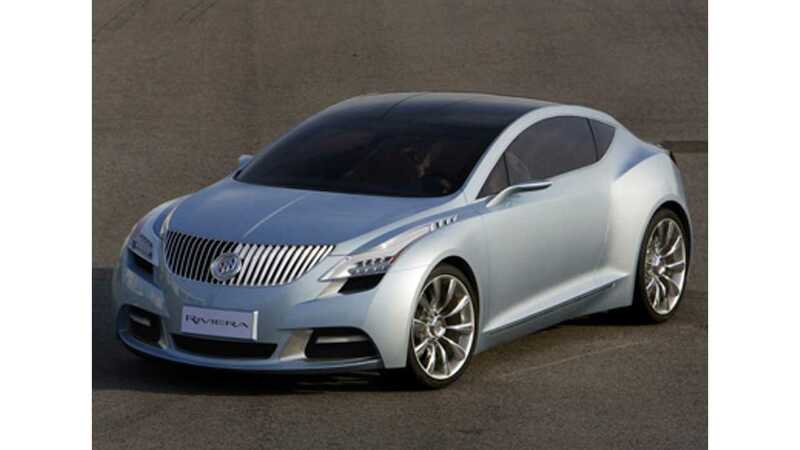 On the eve of the opening of the 2013 Shanghai Motor Show, Buick wheeled out its dramatic Riviera plug-in hybrid concept vehicle. Buick describes the Riviera as a design exercise that hints at the future direction of the automaker. The exterior styling is claimed to be inspired by water, which carries right on through to Buick's traditional "waterfall" front grille. The Riviera name is revived here for the second time (see image of 2007 Buick Riviera concept to your right) since it went out of production in 1999. 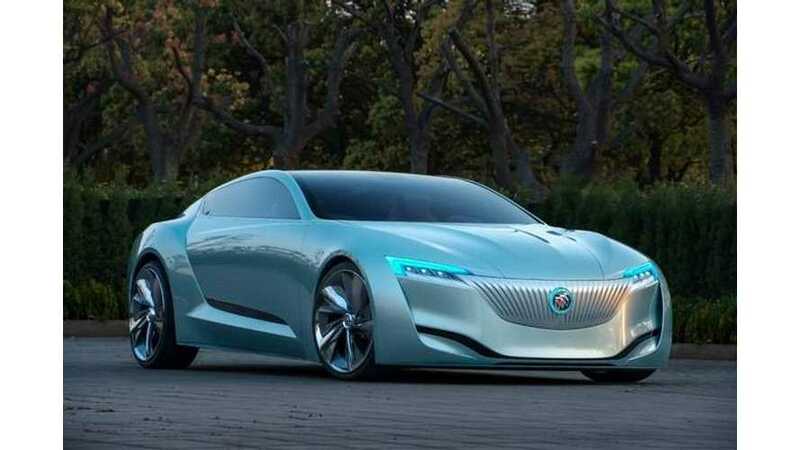 Buick was short on details for the Riviera concept, but we do know it's powered by General Motor's so-called dual-mode wireless plug-in hybrid electric vehicle propulsion system, or W-PHEV as GM says for short. The Riviera feature wireless charging capability, but also sports the more traditional cord setup for users interesting in plugging in. Other electronic gadgets include 10 high-resolution cameras, 18 micro sensors for image and distance monitoring of objects, a holographic image display on the windshield, 4G LTE service, night-view assist, eagle view, full-range adaptive cruise control and an autopilot system. Obviously, the Riviera reeks concept vehicle, but Buick says it will inspire a future offering, possibly in two-door from, to be sold in China and maybe even the US.